In a story written by Harry Weber and Dina Cappiello, AP reported today that an offshore drilling platform, Transocean Marianas, began to take on water as it was preparing to move to Cedrela-1, on the West Cape Three Points Block off the coast of the Republic of Ghana, in the Gulf of Guinea. 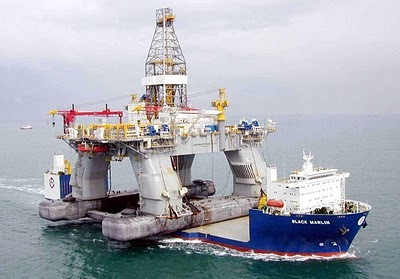 The rig, currently under contract to Italian oil company Eni, was not drilling at the time. Transocean evacuated 108 nonessential workers as a precaution. 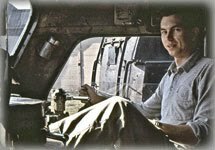 Thirteen remained on board the Marianas to monitor the situation. Transocean described the situation as stable and under control, though could not say for sure whether workers were able to stop water from coming aboard. Apparently no one has been injured. So how does this story have relevance to Oil-Electric? 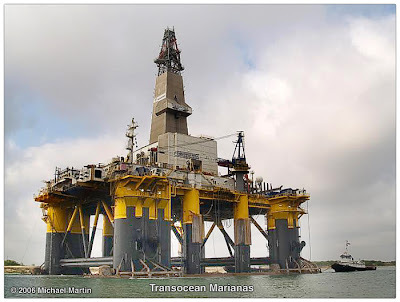 Well, back in October, 2009, the Transocean Marianas arrived on location to start drilling an exploration well on the Macondo prospect in the Gulf of Mexico. But drilling was halted on November 28, 2009. The Transocean Marianas was pulled out of service and taken to Louisiana for repair of damage caused by Hurricane Ida. British oil giant BP leased another rig. The Deepwater Horizon was sent to the Macondo Site on Mississippi Canyon, to complete drilling operations on its well a mile beneath the sea. The Deepwater Horizon began its work in February 2010. Two months later, 11 workers were killed when the Deepwater Horizon exploded off Louisiana, leading to the worst offshore oil spill in U.S. history.